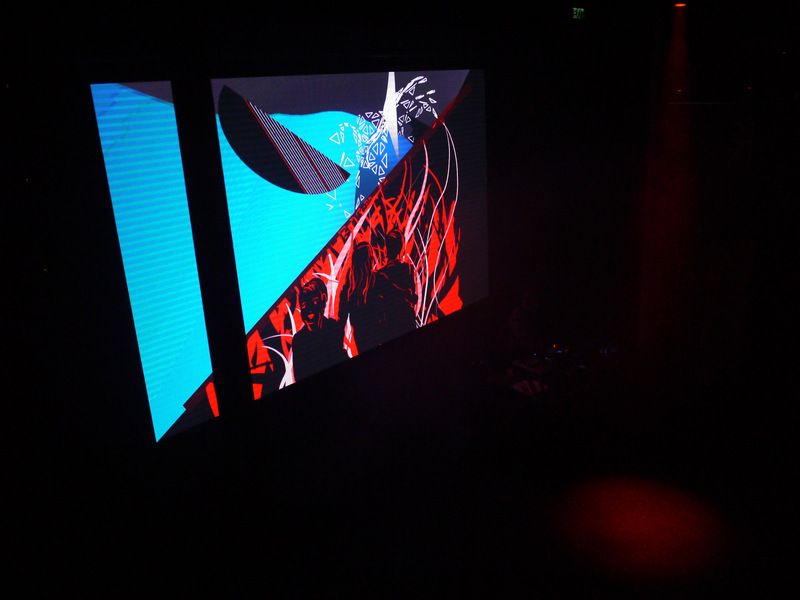 With the Lunchmeat crew – VJing with Pavel Karafiát at the SaSaZu Club in Prague. 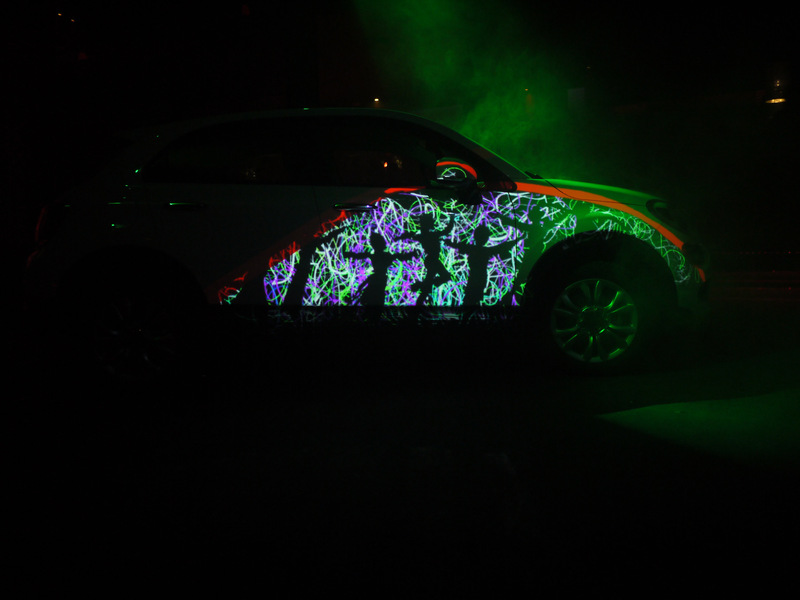 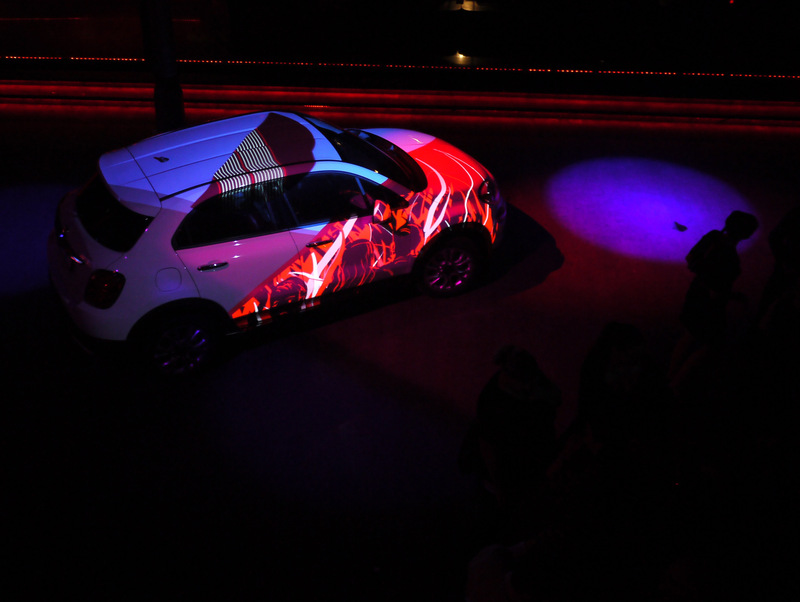 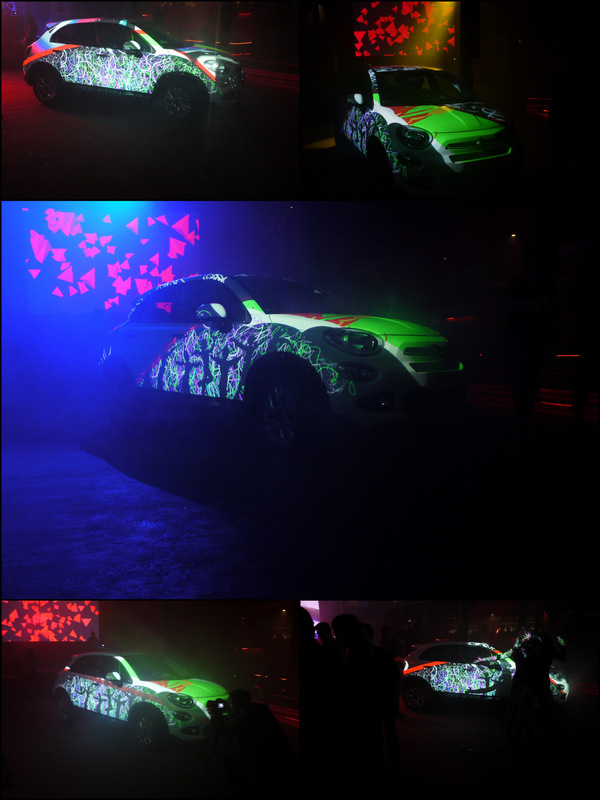 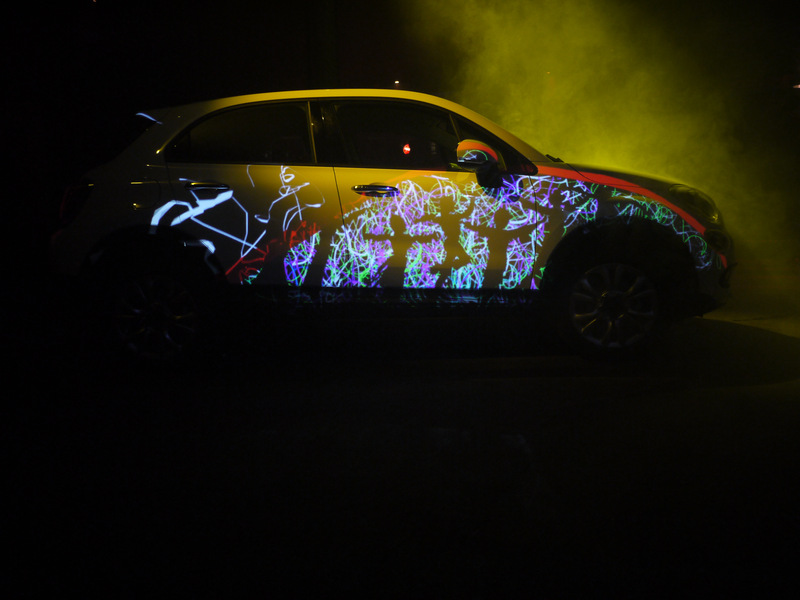 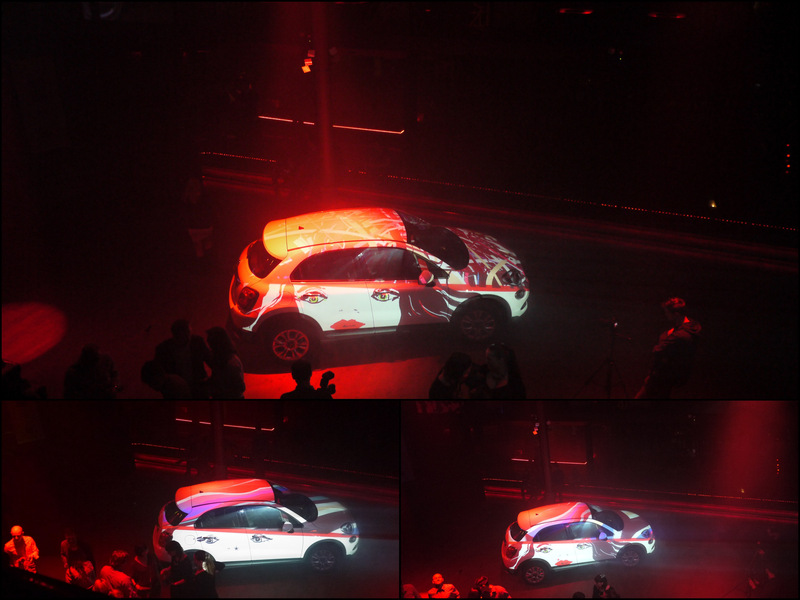 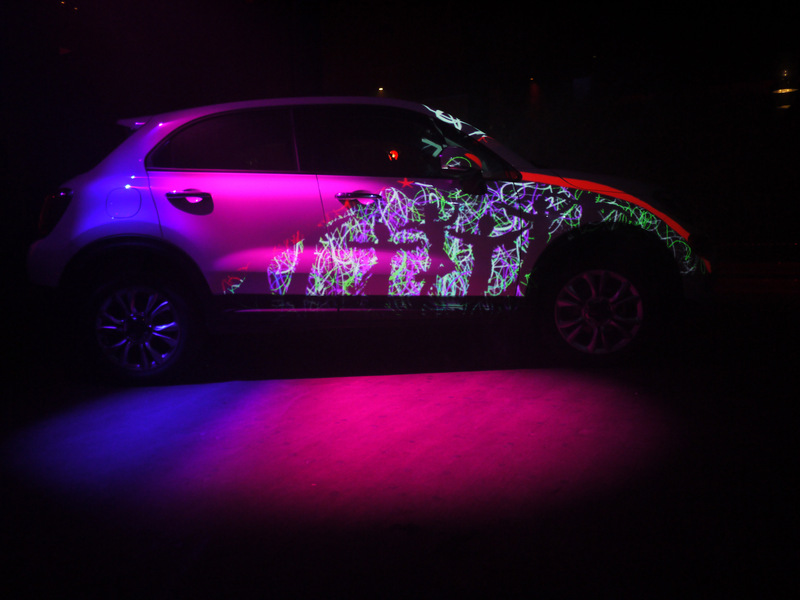 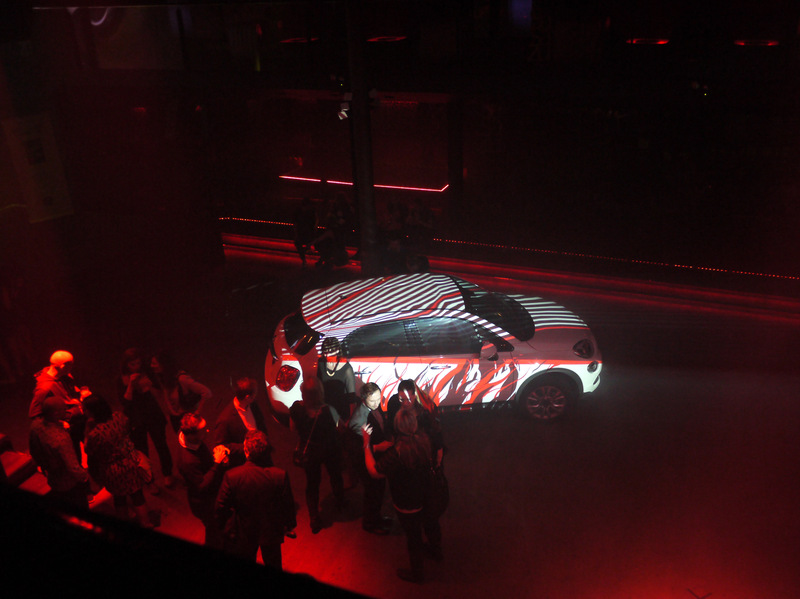 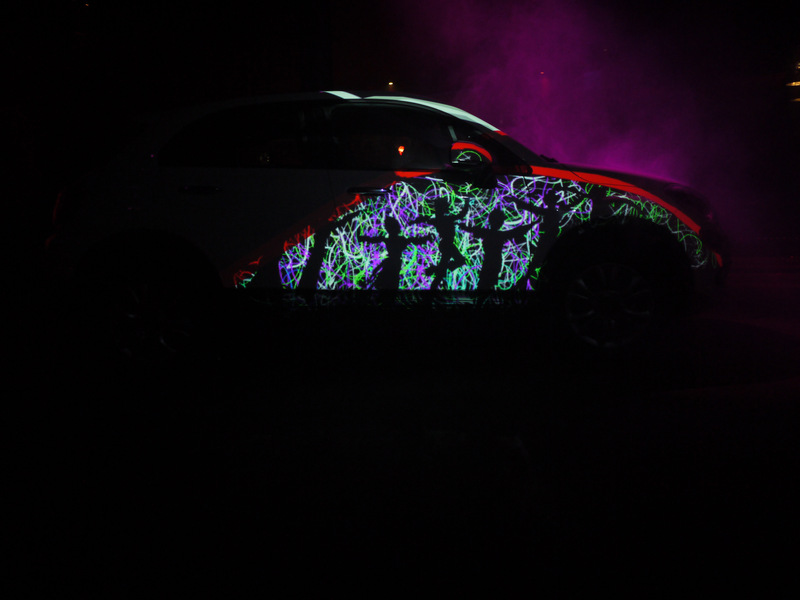 The surface of the car was mapped into two sections so that we could create the visuals together. 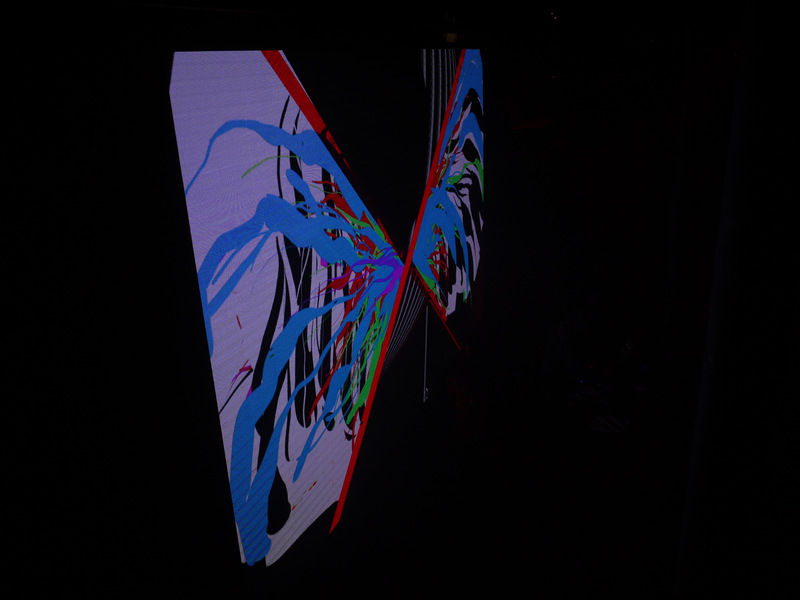 Something different for me – Tagtool drawing v. content generated by code – a very interesting experiment and great fun to do! 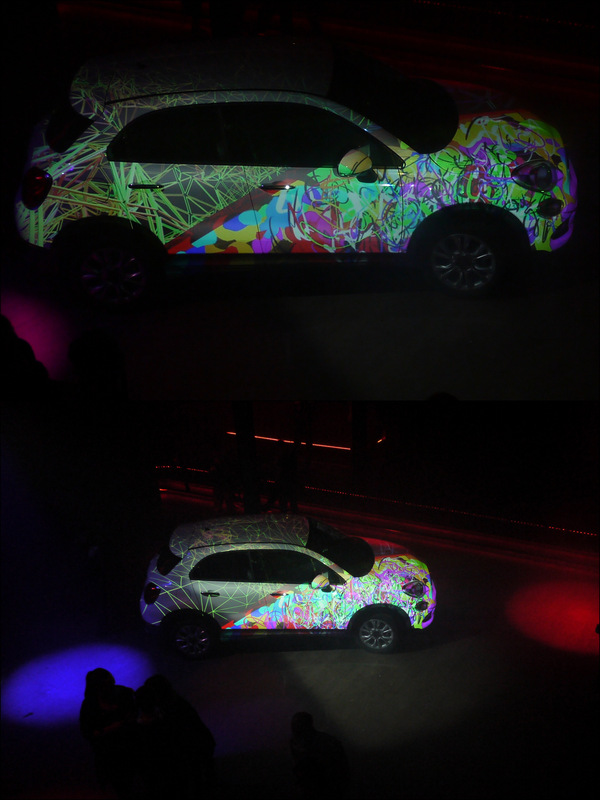 Below – two more collages of the photos that Dima took during the session. 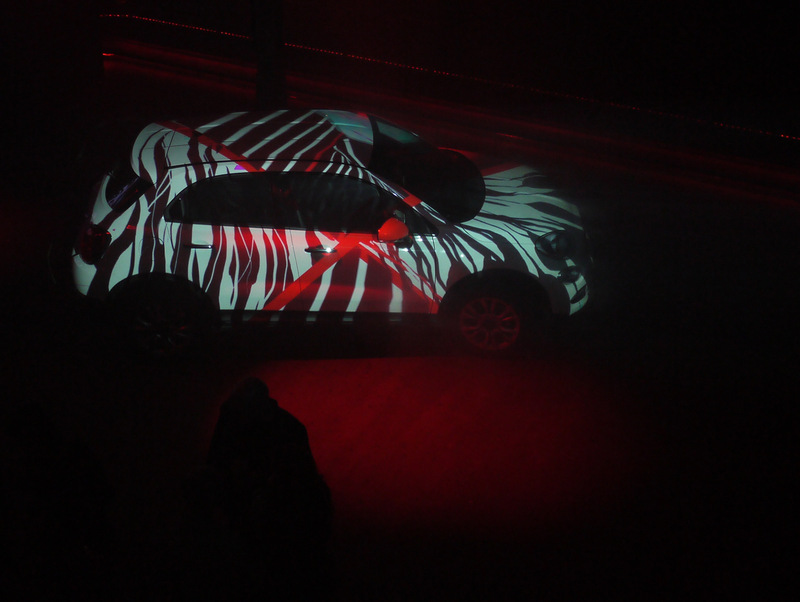 Some of the sequences were mostly abstract patterns…. 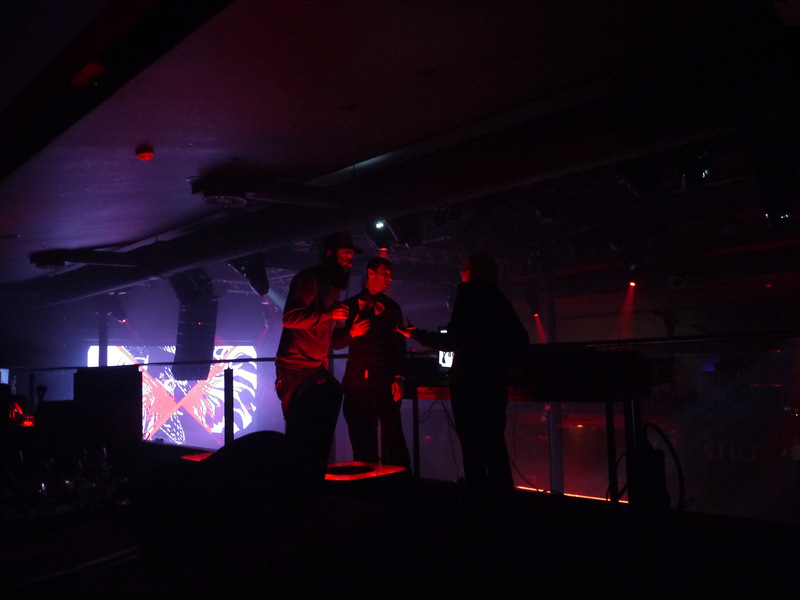 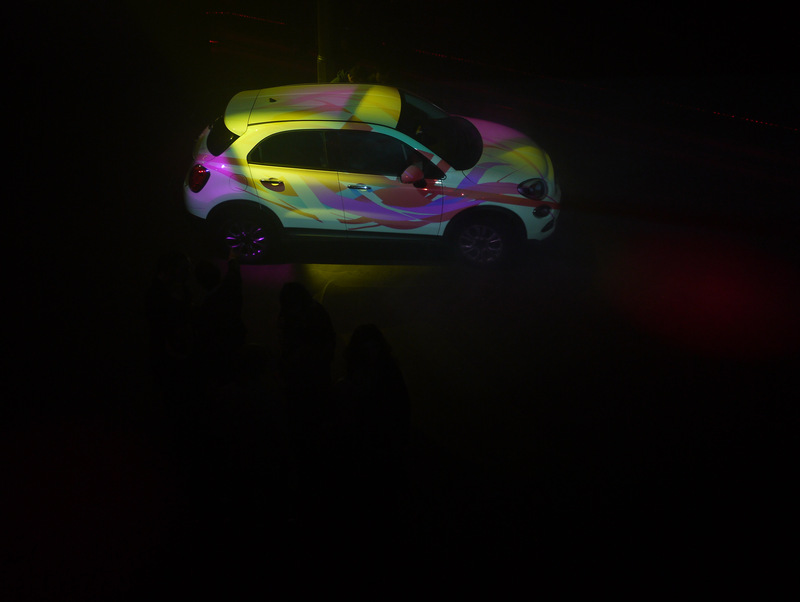 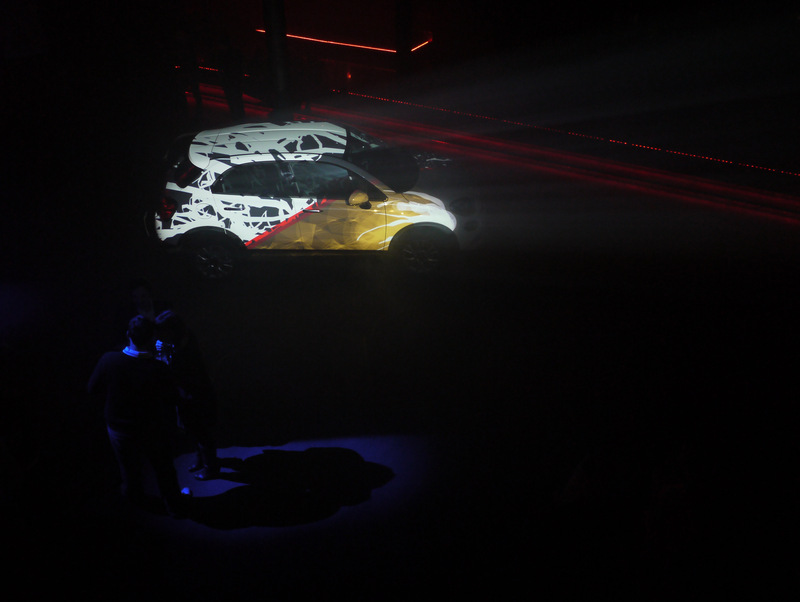 …and in the second half of the programme the drawing ‘on the car’ also appeared as a visual on the big LED screen on the stage behind the DJ’s console. 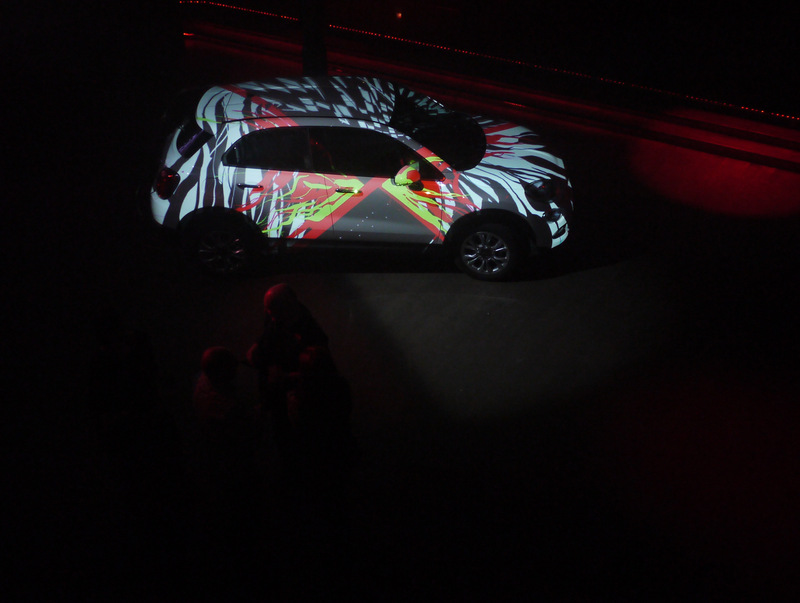 This photo was taken from the balcony where our workstations were set up… …while the photo below shows the spectators’ view of the dancefloor in a sequence where my figurative Tagtool drawing on the side of the car was in direct contrast with Pavel’s abstract graphics on the bonnet. 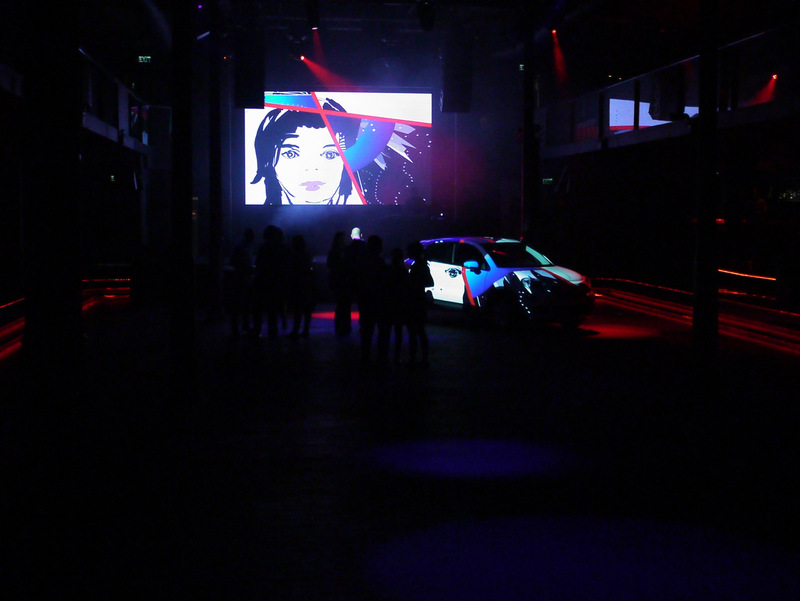 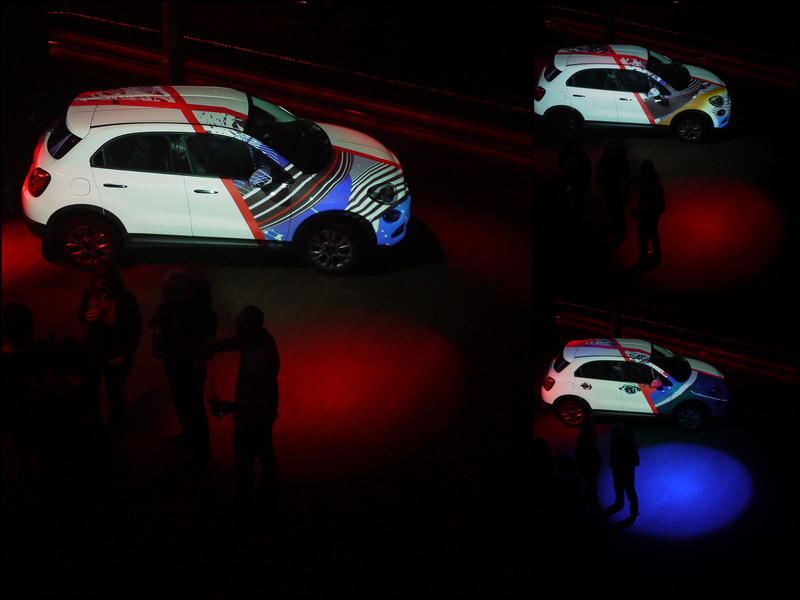 To end this posting – two photos from our final sequence, the first of the LED screen as seen from the balcony and then as our visuals appeared on the car.